The following is from 2006, still being circulated. Since then, the Organization of Islamic countries has issued a fatwa that no fatwa be issued without discussion. Who is going to listen to them? We cannot even agree to one Eid celebration even in smaller cities. There was a talk among a few Muslims to open a Fatwa Factory - whose sole purpose was to issue counter fatwas against meaningless fatwas. They wanted to issue so many of them that its significance was lost and lead Muslims to create an organization who will authenticate a fatwa on their site, if not, it will be as though some one on the street is yelling. The integrity of Muslims must be called in here to have people of different traditions and those who have the guts to speak out against before it is agreed upon. Without critic and without opposition it will be meaningless. It may be a good idea for Shura council in the United States to assign an individual the responsibility to issue a counter fatwa against foreign fatwas that are flaunted on national televisions and radio shows. The "cash-for-fatwas" scandal has also led to a renewed debate on what constitutes a fatwa, and who has legitimate authority to issue one. Fatwas — like the one passed by Iran's Ayatullah Khomeini in 1989 against the novelist Salman Rushdie, or those issued by Osama bin Laden in 1996 and 1998 against America — have come to epitomize the intolerance of Islamic fundamentalists. Yet many Muslims argue that the purpose of fatwas has been misunderstood: A fatwa is, technically speaking, a ruling on a point of Islamic law made by a recognized Muslim scholar in response to a question put to him. Since Osama bin Laden is no Islamic scholar, many deny his right to issue a fatwa. The sway that fatwas hold over Muslims is also not as great as many outsiders think. Last year, a Muslim cleric issued a fatwa stating that it was un-Islamic for Sania Mirza, India's most famous tennis player and a Muslim, to wear sleeveless tops or short skirts on court. Mirza simply dismissed the ruling; indeed, many, if not most, urban Indian Muslims do not take fatwas seriously. However, in rural communities, a well-respected mufti's fatwa — on issues ranging from marriage to health to women's rights — can carry considerable influence. India's Muslim leaders announced that they will soon create a new body that will monitor the passing of fatwas in the country, in a bid to preserve that influence, and nip the popular anger swirling around this scandal. The July 2011 massacre in Norway was a tragic signal of a metastasizing social cancer — Islamophobia. The Norwegian assassin, Anders Behring Breivik’s, 1500-page manifesto confirmed the dangerous consequences of hate speech that has been spread by American and European xenophobes and websites that are quoted hundreds of times in his fear-filled tract. Because the small number of extremists responsible for 9/11 and terrorist attacks in Europe and the Muslim world legitimated their acts in the name of Islam, we have seen an exponential increase in the past ten years of hostility and intolerance towards fellow Muslim citizens. This hatred threatens the democratic fabric of American and European societies and impacts not only the safety and civil liberties of Muslims but also, as the attacks in Norway demonstrate, the safety of all citizens. The broad spectrum of preachers of hate that include politicians, media commentators, Christian Zionist ministers, and biased media and internet sites exploit legitimate concerns about domestic security and engage in a fear-mongering that conflates Islam and the majority of Muslims with a small but deadly minority of militants. The Gallup World Poll revealed that 57% of Americans when asked what they admired about Islam said “nothing” or “I don’t know.” So. too, a Washington Post poll revealed that a shocking 49% of Americans view Islam unfavorably. In the US, the 2008 presidential elections and the 2010 Congressional elections were marred by politicians like Newt Gingrich, Sarah Palin and Sharron Angle who grabbed headlines, using Muslims as convenient scapegoats. Gingrich created a reality that doesn’t exist by calling for a federal law barring US courts from considering Islamic Law as a replacement for U.S. law. Sharron Angle nearly topped him when she falsely suggested that Frankford, Tex., and Dearborn, Mich., were subject to a “Sharia” regime. Park 51 (the so-called “mosque at ground zero”) and anti-mosque and anti-Shariah hysteria across the country revealed the extent to which Islamophobia has gone mainstream in communities from New York to California. In the wake of this irrational emotion and fear, major polls by Time Magazine and The New York Times in August 2010 reported that 33% of those polled believed that Muslim Americans were more sympathetic to terrorists and, in general, 60% of those polled have negative feelings about Muslims. Despite all the paranoia, what objectively do we know about Muslim Americans? What does empirical evidence tell us? In contrast to the charges that Muslims cannot integrate and cannot be loyal citizens, a major Pew Research Center study (2007) found that most Muslim Americans are “decidedly American” in income, education and attitudes, rejecting extremism by larger margins than Muslim minorities in Europe. http://pewresearch.org/pubs/483/muslim-americans Similarly, a 2009 Gallup report found that 70% of Muslim Americans have a job compared with 64% of the US population. Like other Americans, Muslims also were victims; they too lost loved ones and friends in the 9/11 attacks. Moreover, they have seen their religion vilified and many in the mainstream Muslim majority have been victims of serious abuses — racial profiling, overzealous and illegal arrests and detentions, surveillance, wiretapping and trials using “secret evidence”. A campaign of ethnic profiling followed 9/11. Five thousand Arab and Muslim foreign nationals detained, 8,000 sought out for FBI interviews, 82,000 called in for special registration, not because they were terrorists, but because they were foreigners from Arab or Muslim countries. And still today, the use of tactics such as aggressive informants to “manufacture” crimes in Muslim communities, wiretaps, surveillance and monitoring of mosques without probable cause also remain a source of intimidation and fear. Yet, despite these extreme measures, as the FBI and Homeland Security have stressed, the majority of Muslims remain an integrated part of the American mosaic. It is time to digest the real, verifiable facts, to stop wasting energies on the wrong “enemies” and to use our collective strength to focus, together, on solving the very real problems that America is facing in the 21st century. John Esposito is a professor of International Affairs and Islamic Studies at Georgetown University. He is also the director of the Prince Alwaleed Bin Talal Center for Muslim-Christian Understanding at Georgetown University. Thank God we live in America under God where there is no compulsion on any one to believe or not believe. Is there a self-proclaimed Muslim nation where any kind of Muslim can freely practice his or her religion without hassles? Prophet Muhammad (pbuh) brought one religion, the religion that will bring about social justice and peace to mankind. His universal religion brings harmony within an individual and what surrounds him or her. He understood human nature and paved the way for Muslims in the future to figure out how to co-exist with their differences. He said his Ummah will eventually have 72 (73) different versions and each one must rush to do good things ( he did not say, annihilate the other) and one among them will receive bountiful goodness for being exceptionally good. All will receive their recompense from the creator. Each group is bent on converting and convincing the other. Sunnis are arrogant that God has a special pact with them, while the Shias believe the same and so do the Ahmadiyya Muslims. 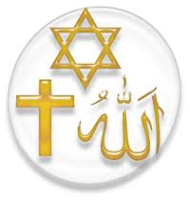 God does not make deals with any one behind each others back, Muslim or not. You do the good things, bring peace to his creation and earn his grace. None of us was assigned to guard the religion or Quraan; he said he will protect it himself. We have to trust God without any doubts. As long as each one of the 72 tribes is doing good things for humanity, we need to appreciate them. After all no one is responsible for your and my actions but ourselves. I have known the Ahmadiyya community for a long time now; they share what they know, but have never asked me to subscribe to their belief in Hazrat Mirza Ghulam Ahmed as Prophet or the Messiah. If they do, I would respectfully say that I am content with my belief as they are with their belief and let’s together do good to humanity with our differences. Let’s have a strong faith in whatever we believe and not fear discussing or talking will drain off my faith. Who needs a faith like that? If someone becomes Sunni, Shia or Ahmadiyya, let them? You are not responsible to any one, not one soul on the Day of Judgment. So why belligerence and ill-will? It is not good for us, this is the Jihad Prophet (pbuh) called on us. Islam is not defined by denying others their belief, forcing others to your way… The Sunnis can survive without manufacturing an enemy that is what the Neocons do; make enemies out of Muslims who are not. Are we like them? It is very imoprtant not to misunderstand any corruption done in our religion by certian groups and giving the impression that there is no differnace between Ahamdis and othe Muslims places of worship and iftar. These are the tectics to get Muslims involved and then convert to Ahmadis. if they are the same as other muslims are then why do we have to convert to Ahamdiat? Once you go deep inside then you will know that Ahmadis are very different and corrupting our religion by changing the meaning of Quran and not Accepting Prophet ( PBUH) as the last prophet and instead beleiving that Mirza is the continuation of Prophet hood. This is a very long discussion, i have attached the presentation by which everyone can understand that how they have tried their best to change the meaning of Quran to their religion. No one has interprated Quran in 1400 years execept this group and list of other things is long. i am ready to debate any Ahamdi regarding the finality of Prophet ( PBUH) this is the basis of our relgion and Aqeeda. Without beleving in finaltiy of Prophet Mohammad ( PBUH) we are not following Quran and Allah. Allah says very clear in Quran about the Finality of Prophet Mohammad ( PBUH) any group try to chnage is not Muslim or the follower of Islam. Thanks for pointing the error. First of all it was my mistake that I did not point out the information that was contrary to Brother Qureshi’s information on Ahmadiyya and Bahai. "La Ilaha Illal lah Muhammadur Rasool Allah.” I have been to two different Ahamdiyya Mosques, one is Dallas Area and the other in Houston, I have prayed in their mosques, had Iftaar with them, have spoken many times and have also spoken at the their Annual convention – I have a copy of their Quraan and some great books they have written. In their two day convention that I attended, so many times they recited Takbir, Shahadah and Darood and of course Mirza Ghulam Ahmed's name, just as they do in Shia Mosques - Nara-e-Hydari - Ya Ali. I have taken pictures of their mosques where you see inscribed on their walls, "La Ilaha Illal lahu Muhammadur Rasool Allah." In the early 70’s on the walls of one Ahmadiyya Mosque in Africa, the first Meem of Mohammad in the Kalima was discolored and made it appear like it was Ahamdur Rasoola Allah. All I have seen is on the walls of the Ahmadiyya Mosques I have been to. As a side note, nothing to with the topic above but related to it. I have written over 15 articles on Ahmadiyya (of 750+ Articles on Islam) in the last few years and as a “Sunni” Muslim it amazes me that how many of us go by hearsay and make blind statements. The politically brainwashed hatred towards Ahmadiyya has blinded so many Muslims to jump to conclusions without verifying. I am not defending Ahmadiyya here, I am defending what Allah and his Prophet has told us to do – to verify before we judge other people, besides that, no one has a right to judge the faith of other person other than Allah. Don’t let your bias towards others to make you unjust. I was in Austin several weeks ago, one of my Ismaili friends was telling me that he went to the Mosque for Friday prayers, and the Imam was belligerent towards him for dropping the hands during the Iqama position, which most Shia Muslims do. Insha Allah, I will go talk to the imam and ask him what Allah meant, “the best among you are the ones who learn about each other” If he is not aware of how Muslims prays in different Mosques. I pray that he treats the guests at the mosque in a dignified way, if he were to be an Imam. In one line (saf) people hold their hands on naval level, above stomach or even on the chest while other practices exist. Unless we speak up, things will not change. Do we want our Imams to be respectful of other? > Mike: You had an opportunity to break bread during Ramadaan with this group (the Ahmadiyya) and have worshipped with them in their mosque. I am curious if you noticed or observed first hand any â€œnew elementsâ€ added into Kalima by this group and also added in Azan? Has anyone on this forum firsthand made such observations? > Thank you for your valuable input.With your permission I shall use this in my next article on multiplicity of faiths, a diversity that looks repugnant but essentially is good.